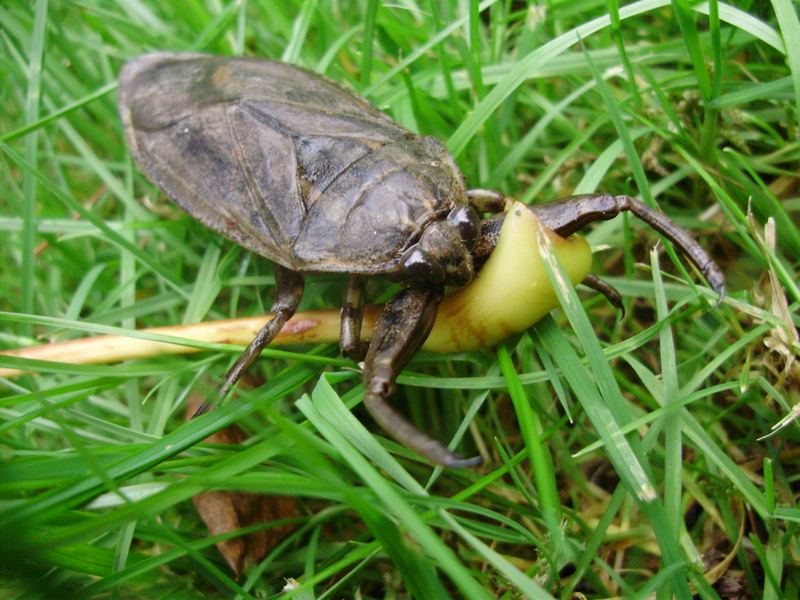 Generally, all male giant water bugs is responsible for parental care of the eggs while all female giant water bugs are responsible for actively finding males to mate. The females would lay eggs on top of the males wings, L. americanus is an exception. The males would getting in and out of the water periodically to avoid desiccation of the eggs while to discourage fungi and algae growth. The males would carry the eggs and project them until they hatch. Female L. americanus, on the other hand, lay their eggs on vegetation near the edge of the water. The males would guard the eggs until they hatch. 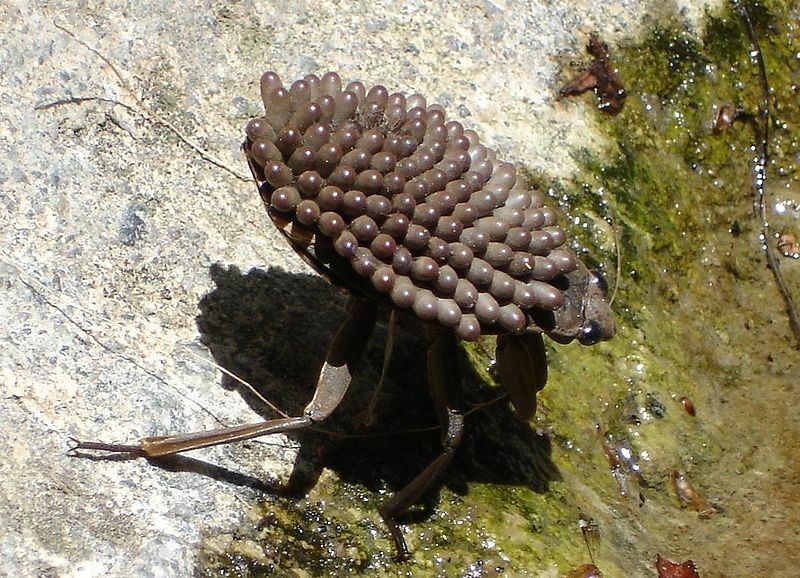 During this period, all types of giant water bugs male would not mate. Eggs to nymph in about two weeks after the eggs are laid). Nymph to adult in one to two months. Adults live about one year. Young nymph would shed their exoskeleton to resemble the adults. Click here to see a youtube video of Giant Water Bugs babies hatching (It is not L. americanus in the video)!